The Trump administration’s negotiating team is calling this the “deal of the century.” What a joke. Palestinian Authority chief negotiator Saeb Erekat revealed in a report prepared for the PLO Central Committee meeting last week details of the American proposal for a “deal of the century” aimed at advancing an agreement to resolve the Arab-Israeli conflict. 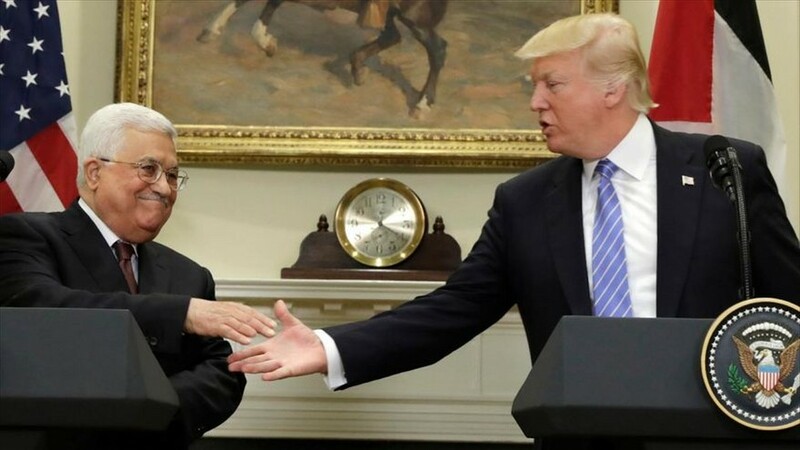 According to the report, the outline drawn up by US President Donald Trump’s negotiating team included the annexation of 10% of Judea and Samaria by Israel and the placement of the capital of the future state of Palestine in the suburbs of Jerusalem. “Resolve the Arab-Israeli conflict?” You’ve gotta be kidding me. Let’s call it what it really is: the Muslim Nazis’ conflict to “send all the Jews into the sea.” Giving up Israel to a bunch of mass-murdering butchers who will continue to murder innocent Jews is pure evil. And the media coverage of this has been pathetic. Trump and Republicans throw out table scraps while fulfilling Obama’s dreams, while Trump’s supporters (who apparently have no principles) praise him for sending Jews to their deaths. Any Jew conned by this is fool. If Jews were being sent to Nazi concentration camps, would it be acceptable if we saved only 10% and let the others be murdered as part of a “deal” with the Nazis? Would that be a “deal of the century?” This is a disgrace. The Jews living in that land will be killed! Do you think otherwise? Israel shouldn’t give one single inch to those blood-thirsty jihad barbarians! Not one centimeter! We should tell Arafat to say what is the point of signing A peace deal with Israel, if 55% of Israeli Jews do not agree with surrendering the land? Israeli aggression will continue as long as the Israeli government pretends that the hateful public opinion of the Jewish people of Israel does not exist. Vast numbers of Jews believe in the Torah which forbids surrendering land. Even if Netanyahu supports the peace deal, future elected governments of Israel may not, and as long as the deal has conditions where IDF soldiers can go into Judea and Samaria and inflict their oppression upon the ‘palestinians’, then the conflict will continue forever and there is no reason to stop the intifada. In G-d I trust.